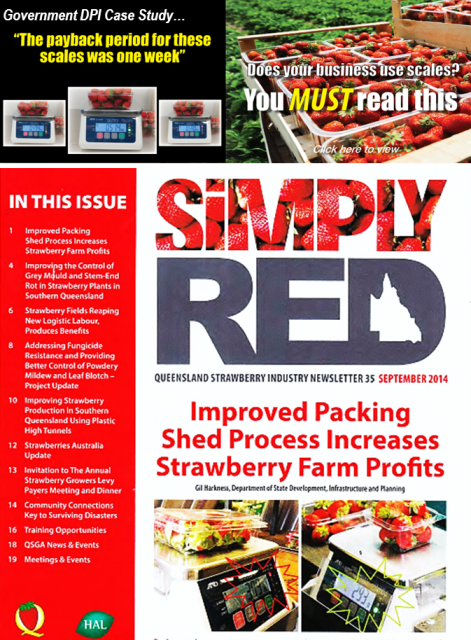 Improved packing shed process increases strawberry farm profits. The payback period for investing in these scales was one week! Case Study written by Gil Harkness, Department of State Development, Infrastructure and Planning.